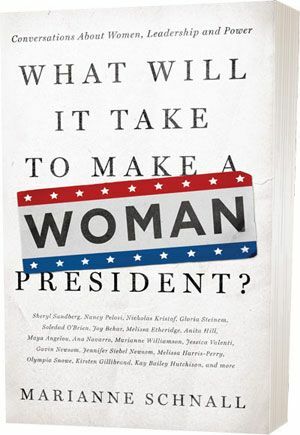 Book Talk: What Will It Take to Make A Woman President? February 19th! Meet author Marianne Schnall and listen to a conversation about her new book, What Will It Take to Make A Woman President? : Conversations About Women, Leadership and Power with Commentary by: Abbe R. Gluck, Professor of Law. Prompted by a question from her eight-year-old daughter during the 2008 election of Barack Obama—“Why haven’t we ever had a woman president?”—Marianne Schnall set out on a journey to find the answer. A widely published writer, author, and interviewer, and the Executive Director of Feminist.com, Schnall began looking at the issues from various angles and perspectives, gathering viewpoints from influential people from all sectors. With insights and personal anecdotes from Sheryl Sandberg, Maya Angelou, Gloria Steinem, Nancy Pelosi, Nicholas Kristof, Melissa Etheridge, and many more, this book addresses timely, provocative issues involving women, politics, and power. With a broader goal of encouraging women and girls to be leaders in their lives, their communities, and the larger world, Schnall and her interviewees explore the changing paradigms occurring in politics and in our culture with the hope of moving toward meaningful and effective solutions—and a world where a woman can be president.